FORT DODGE - Robert Allen Mitchell, 79, formerly of Mason City, died on Wednesday, March 13, 2019, at Friendship Haven in Fort Dodge. A memorial service will be held at 2:00 PM Saturday, March 16, 2019, at Trinity Lutheran Church, 213 n Pennsylvania. A visitation will take place one hour prior to the service time on Saturday. Memorials can be made out to the family of Robert Mitchell. Bob Mitchell was born on February 12, 1940 in Carlinville, Illinois. He was raised by his parents Jesse and Arlene Ward in Woodward, Iowa. Bob Graduated from Woodward High School in 1958. He joined the US Navy and was trained as an electrician. On November 1, 1969 Bob married Shirley Lorene Wearda. Bob and Shirley made their home in Mason City Iowa. From his first marriage, Bob had one daughter, Julie Ann. Bob and Shirley had two more daughters, Sheri Lynn and Stacie Jo. Bob worked for Peterson Electric Motor Service in Mason City until he retired in 2006. Bob spent his life working hard and playing hard too. He enjoyed camping, snowmobiling, grilling and working in his spotless garage with his beloved tools. He loved spending time with his family and many friends. He will always be remembered for his quick wit, sense of humor, sarcasm and love of a good time. Bob was always willing to help others and is known for being able to fix almost anything and would do anything for his family and friends. Bob is survived by his wife, Shirley, his three daughters: Julie (Mike) Draper, Sheri (Travis) Morud, and Stacie (Andrew) Lennette. His nine grandchildren: Hailey (Matt Brown), Kylie (Logan Harris) and Cody Draper. Brady, Jordan and Max Morud and Cole, Owen and Savannah Lennette. Two great grandsons: Neko and Kato Harris and one great granddaughter expected to join the family on March 29, 2019, Adaline Brown. His sister, Helen Mitchell (Garry) Kuntz and two brothers, Larry (Yvonne) and Gary (Jennifer) Ward and lots of extended family and great friends. He is also survived by his very special family member, his dog, Mila Mitchell. Bob was preceded in death by his parents, Jesse and Arlene Ward. CARPENTER, IOWA - James W. Hulshizer, 93, died in Elk River, Minnesota, on March 11, 2019. Funeral service will be held on Monday, March 18, 2019 at 10:30 AM at Deer Creek Lutheran Church, Carpenter, Iowa, with Rev. Lance Kittleson officiating. Burial will be in the Deer Creek Cemetery. Visitation is scheduled for Sunday from 4:00 to 6:00 PM at Schroeder & Sites Funeral Home, St. Ansgar, Iowa. James was born on August 27, 1925 in Worth County, Iowa, to Lawrence and Olga (Gordon) Hulshizer. He attended Otranto School thru the 8th grade. Jim was baptized and confirmed at Deer Creek Lutheran Church, Carpenter. He farmed on the family farm in Worth County until retiring in 1993. Jim married Madeline on November 24, 1946 in Myrtle, Minnesota. She died in 1992. He married Mary Furst in June 1995. She died in May 1997. Jim then married Mavis Gerick on December 4, 1999. Jim enjoyed wintering in Mission, Texas, which he did from 1983 to 2014. He loved dancing and was known for his skipping. Jim will be remembered as a quiet man who enjoyed his family and friends and working on the farm. He was preceded in death by wives, Madeline and Mary; one great, great grand daughter, Kenady Bartz; brother-in-laws, Charles Vosburgh, Virgil, Willis and Archie Lau. Jim is survived by his wife, Mavis of Oak Grove, Minnesota; two daughters, Sandy(Calvin) Thompson of Osage, Iowa and Marcia (Tom) Allen of St. Ansgar; 6 grandchildren; 18 great grandchildren; 5 great, great grandchildren; also survived by Mavis's family, which includes Deanna (Gary) Hofmeister of Mankato, Minnesota and Doug (Kate) Gerick of Ramsey, Minnesota; 3 grandchildren. Dan Mumby was born January 2, 1944 and raised in Hawkeye, Iowa, the son of Lee H. and Dorothy M. (Bluecher) Mumby. Dan graduated from West Union High School in West Union, IA, and Upper Iowa University, in Fayette, IA. Dan started his business career with the S.S. Kresge Co. in Davenport, IA. Upon transferring to the Kresge in St. Louis, Missouri he met his future wife, Josephine Ann Volansky. They married on July 9, 1966 and shared a loving marriage for over half a century. The couple would have celebrated their 53rd wedding anniversary this year. Dan is survived by his wife JoAnn; his three daughters Elizabeth (John) Lofing of Mason City, IA; Patricia (Douglas) Wagner of Elkhorn, WI; and Dr. Susanne Mumby of Rancho Mirage, CA. Twelve grandchildren: Victoria Lofing, Kaimen Slay, Andre Slay, Eric Lofing, Antwon Slay, Nicholas Wagner, Brianna Lofing, Xavier Slay, Selena Slay, Jessica Wagner, Aaliyah Slay, and Amaya Slay. Also, six great-grandchildren: Carter Lofing, Dante Slay, Addalynn Lofing, Jackson Lofing, Kaidence Slay, and Kayden Lofing. Brother: Larry Mumby of North Carolina. Sister: Cheryl Goltz of Rowan, IA. Niece and nephew: Chrissy and CJ Goltz of Iowa Also. Also, brother-in-laws and sister-in-laws: James and Judy Volansky, Mary Hendel, Alex and Anna Volansky of St. Louis, MO, Rodger and Jean Clanton of Fenton, MO. Dan was preceded in death by his parents, Lee and Dorothy Mumby, his in-laws, James and Josephine Volansky, and his brother-in-laws, Michael Volansky and George Hendel. Memorials can be made out to the family of Daniel Mumby, and sent to Major Erickson Funeral Home, Mason City, IA, 111 N. Pennsylvania Avenue, Mason CIty, IA 50401, (641) 423-0924. Phyllis Maxine Nicolet, 90, of Clinton and formerly Mason City and Thornton, was called by God on Wednesday, March 13, 2019 in Clinton, IA. A Funeral service will be held 2:00 p.m. Monday, March 18, 2019 at Hogan-Bremer- Moore Funeral Home, Mason City, Iowa with Father Gehling officiating. Burial will be next to her loving husband at Pleasant View Cemetery, Thornton, Iowa. Delmar Luverne Koch, 91, of Sheffield, Iowa, passed away Wednesday, March 13, 2019, at the Sheffield Care Center. Funeral services will be held at 11:00 a.m., Monday, March 18, 2019, at Trinity Lutheran Church in Hampton. Visitation will be held from 3:00 p.m. until 5:00 p.m., Sunday, March 17, 2019, at the Sietsema Vogel Funeral Home in Hampton. Burial will take place in the Hillside Cemetery in Sheffield. The Sietsema Vogel Funeral Home of Hampton is assisting Delmar's family. Donald F. “Don” Freiberg, 104 ½, of Charles City, passed away Thursday, March 14, 2019 at the 9th Street Chautauqua Guest Home in Charles City. 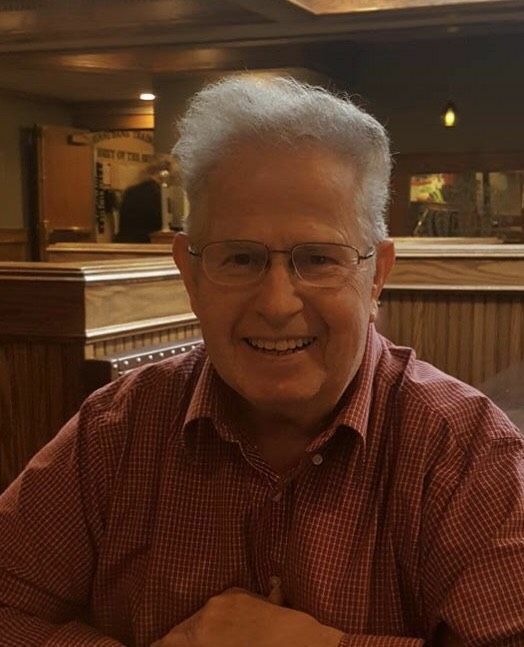 A funeral service for Don Freiberg will be held at 2:00 p.m. Tuesday, March 19, 2019 at Hauser Funeral Home with Pastor Jim Beranek from Trinity United Methodist Church officiating. Burial will be at Riverside Cemetery in Rockford. A gathering of family and friends will be one hour before the service at the funeral home on Tuesday. Don was born July 28, 1914 in Rockford, Iowa the son of William and Blanche (Hobbs) Freiberg. He graduated from Rockford High School in 1933, in the heart of the depression, and served two years in the Civilian Conservation Corps (CCC). Don married Ruth Moore in Rockford, and they were married 78 years. He was a member of Trinity United Methodist Church in Charles City. Don worked at Oliver and White Motor for 43 years as a machinist and farmed most of his life. During retirement he worked for Sar Seed Farms. Don and Ruth were founding members of The Birthday Club. They loved to dance…dancing nearly every week at the Moose Lodge for over 60 years. Don also served as Governor of the Moose Lodge for several years. Don was known for his friendly, congenial, always-happy personality; willingness to help others; and devotion to family and friends. Don is survived by two sons: Bill (Kathy) of Cedar Falls and Larry of Charles City; three grandsons: Mark of Cedar Falls, David (Becky) of Gooding, Idaho and Jason (Beth) of Cedar Falls; and five great-grandchildren: Leah, Bennett and Mae of Cedar Falls and Dawson and Aleena of Gooding, Idaho. He was preceded by his parents; wife, Ruth on January 13, 2018; and one brother, Robert. OSAGE - Kathy Ann Blake, age 55, of Osage, died Wednesday March 13, 2019, at the Mitchell County Regional Health Center -Hospice Room. Funeral services will be held at 10:30 a.m. Monday, March 18, 2019, at Our Savior's Lutheran Church in Osage with Rev. Cindy S. Krause officiating. Burial will be in the Osage Cemetery. Visitation will be from 4:00 pm to 7:00 p.m. Sunday at the Champion-Bucheit Funeral Home in Osage. Kathy was born April 16, 1963, in Osage, the daughter of Darrell “Shorty” and Shirley (Thompson) Sletten. She attended school in Osage and graduated from Osage Community High School in 1981. Kathy was united in marriage to David Blake on September 26, 1981, at Our Savior's Lutheran Church in Osage. She was a member of the Altar Guild at Our Savior's Lutheran Church. Kathy enjoyed crocheting, reading and playing solitaire. She was a devoted mother and wife, and most of all loved spending time with her children. Kathy is survived by her husband, David Blake of Osage; daughter, Stephanie (fiancée Kevin Gore) Blake of Berkeley, California; son, Steven Blake of Osage; mother, Shirley Sletten of Osage; brother, Rick (Sue) Sletten of Osage; sister, Cindy (Vernon) Niess of Osage; in-laws, Joan Blake of St. Ansgar, John (Mary) Blake of Cottonwood, Minnesota, Jean (Dennis) Hemann of Osage, Janet (Jeff) Chapman of Marshall, Minnesota, Dan (Sue) Blake of Stacyville and Tim (Kathie) Blake of Osage; numerous nieces and nephews and great-nieces and nephews. She was preceded in death by her father, Darrell “Shorty” Sletten; father and mother-in-law, Othmar and Gladys Blake; sister-in-law, Ruth Blake; and brothers-in-law, Tom Blake and Dean Blake. CLEAR LAKE – Maynard C. Beyer, 91, of Clear Lake, formerly of Garner, passed away Monday, March 11, 2019 at MercyOne North Iowa Medical Center in Mason City. Funeral services will be held 10:30 A.M., Saturday, March 16, 2019 at St. Boniface Catholic Church in Garner with Fr. Jim Dubert and Msgr. John Hemann officiating. Burial will be at Concord Township Cemetery in Garner with military rites by the Garner Veterans Ceremonial Unit. Visitation will be held from 5 to 7 P.M., Friday at Cataldo Funeral Chapel, 160 E. 4th St., in Garner with a Scriptural wake service at 4:30 P.M. Visitation will resume one hour prior to services at the church. Memorials may be directed to St. Boniface Catholic Church or to the donor's charity of choice. Maynard Charles Beyer, the son of Carl and Barbara (Uthe) Beyer, was born May 3, 1927 at Dows. He attended school at Dows and graduated from Rowan High School in 1944. In July of 1945, he was drafted into the U.S. Army and was stationed in Oklahoma and Texas until his honorable discharge in October of 1946. Upon his discharge, he returned home and worked on the family farm until 1950, when he started selling cars at the Ford garage in Belmond. He sold cars until 1956 in Belmond and other dealerships in Dows and Britt. In the fall of 1956, he moved to Rochester, MN where he took the job of Sales Manager for the Ford Auto Company. He later went into a car business partnership with a friend while in Rochester. In August of 1960, he married Ilene Skauge in Rochester, MN. To this union a daughter, Lisa, was born. In 1970, the family moved to Garner where Maynard became sales manager at Iowa Mold Tooling Company and later became vice president of the company. IMT manufactured and sold equipment around the world to some 70 different countries. Maynard did a lot of traveling overseas and went to 42 different countries while working for the company. The extensive traveling provided a lot of interesting and unusual circumstances – some humorous and some difficult! Maynard served on the Board of Directors at IMT for many years. He retired from IMT in October of 1990 and then began working at Stellar Industries in Garner until retiring at the end of 1991. On June 29, 2001, he married Barbara Edelen Zrostlik. They made their home in Clear Lake and wintered in Florida. He enjoyed golfing, fishing and playing cribbage. He was a member of St. Boniface Catholic Church and the Garner American Legion. Maynard is survived by his wife, Barbara, of Clear Lake; daughter, Lisa (Don) Johnson of Garner; grandchildren, Blake and Mallory Johnson of Garner; step children, David (Joan) Zrostlik of Garner and Susan (Dennis) Firsching of Mason City; step grandchildren, Nicole Zrostlik (Nate Deprey), Graham Zrostlik (fiancée, Mel Gerecke), Evan (Christine) Zrostlik and Ted Zrostlik; a brother, Melvin (Rosanne) Beyer of Dows; a sister-in-law, Pat (Randy) Judge of Dubuque; a brother-in-law, Chuck (Cindy) Edelen of Lakeville, MN; and many nieces and nephews. BELMOND, IOWA - Pauline G. Arends, 101, of Belmond and formerly of Alexander, passed away on Sunday, March 10, 2019, at Rehabilitation Center of Belmond. Funeral services will be held at 10:30 AM on Friday, March 15, 2019 at Ewing Funeral Home, 111 Luick's Lane South in Belmond. Burial will take place at the Alexander Cemetery. Visitation will be held Thursday, March 14, 2019 from 4:30 PM to 7:00 PM at Ewing Funeral Home in Belmond, and will continue one hour prior to services at the funeral home on Friday. In lieu of flowers, memorials may be directed to the Alexander Library or Belmond Boy Scouts. Pauline Grace Meinders was born on the Cobus Smith farm east of Belmond to Henry and Pauline (Stadtlander) Meinders on November 24, 1917. She was baptized on November 17, 1918 in the Immanuel Reformed Church by A.H. Woolken. At the age of five, she attended Braner Country School in Pleasant Township. In March, Pauline's family moved five miles north and two and a half miles east to a farm northwest of Meservey. She completed Heidelberg Catechism in April of 1935. Pauline graduated from Meservery Consolidated School in May 1935. Follwing her father's death in 1937, the family moved to Belmond. She worked at Peterson Café in Belmond then as a cook at the Steele Memorial Hospital. She also worked for Selma Griesy. On March 15, 1947, Pauline was united in marriage to Orville Arends at the Alexander Reformed Parsonage by Pastor Roskamp. They started their life together on the Arends family farm west of Alexander. Pauline had frugally saved $800 from her $3.75 a week jobs and bought eight acres adjoining the Arends farm instead of going on a honeymoon. Pauline was a member of Alexander Reformed Church. She portrayed Betsy Ross for Memorial Day programs at the Belmond School, was a VFW charter member in Belmond, life member of American Legion of Latimer, President of Alexander Cemetery Society, and helped organize the Kitchen Klatter Band. She was active in the Alexander Variety Shows. Pauline enjoyed trips to Las Vegas, Alexander Library coffees and loved playing cards. In her spare time, she made quilts and afghans. She loved taking lunch to the field in the big white van. Orville and Pauline celebrated 50 years together on March 15, 1997. Surviving are her two children Roy (Jeanie) Arends of Alexander and Marilyn Arends of West Des Moines; granddaughter Kelly (Joe) Pratt of Germany, grandsons Andrew Arends of Alexander and Jonathan Arends of Kingsville, Missouri; two great-grandsons Nicholas Pratt of Germany and Sebachtion Arends of Kingsville, Missouri; and several nieces and nephews. She was preceded in death by her parents, husband Orville in 1997, siblings Alfred Meinders, Clara Harken, Marvin Meinders, Henrietta Vierkant, and Verbena Friesleben, and many nieces and nephews. GARNER – C. Burke Haberkamp, 89, of Garner passed away Monday, March 11, 2019 at MercyOne North Iowa Medical Center in Mason City. Funeral services will be held 10:30 A.M., Monday, March 18th at the Garner United Methodist Church with Rev. Paul Evans officiating. Burial will be at Concord Township Cemetery in Garner with military rites by the Garner Veterans Ceremonial Unit. Visitation will be held from 2 to 4 P.M., Sunday at Cataldo Funeral Chapel, 160 E. 4th St., in Garner and will resume one hour prior to services at the church. Clayton Burke Haberkamp, the son of Verner and Marie (Burke) Haberkamp, was born July 10, 1929 in Mason City. He attended the rural schools of Hancock County and graduated from Garner High School in 1948. He served his country in the U.S. Army during the Korean Conflict in the ammunition depot. After being honorably discharged he returned to Garner working at Asa's and Bill's DX Station. On October 18, 1958 he married Muriel McMullin at Grace Lutheran Church in Hanlontown. They made their home in Garner where they raised their two sons, Phil and Charles. Burke worked at Northern Natural Gas as an oiler and shift operator until his retirement in 1993 after 37 years of employment. Burke also worked as a handy-man around Garner doing repair work and painting. He enjoyed woodworking, making furniture, fixing chairs, spending time with his family and traveling. He was a member of the Garner United Methodist Church where he served as an usher and soundman for many years. He also belonged to the Garner VFW and American Legion. Burke was an assistant Boy Scout Leader for many years and was awarded the Outstanding Citizen of Garner in 2002. Burke is survived by his wife, Muriel, of Garner; two sons, Phil (Avis) Haberkamp of Northwood and Charles Haberkamp of Cedar Rapids; three grandchildren, Jeremy Koster, Chad Koster and Jennifer Bounnakhom; great grandchildren, Lacey Olsen, Jacob (Megan) Koster, Austin Koster, Hunter Koster and Tiffany Bounnakhom; his brother, Harlan (Virginia) Haberkamp of Britt; a sister, Mary Eisenmann of Waunakee, WI; many nieces and nephews; and grand dog, Chloe. Arrangements are with Major Erickson Funeral Home & Crematory, 111 N. Pennsylvania Avenue, Mason City, Iowa 50401, 641-423-0924. Norma Jean Howell, 90, of Mason City, Iowa, passed away peacefully on February 28th, 2019 at her daughters home in Maryville, TN surrounded by family. A memorial service for Norma Howell will be held on Saturday, March 16th at 2:00 p.m. at the Seventh Day Adventist Church located at 815 North Kentucky Ave. in Mason City, Iowa.